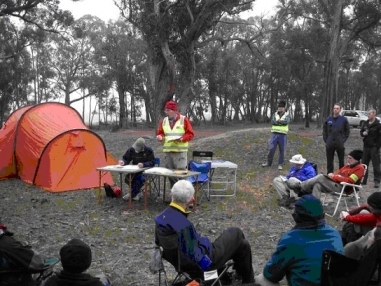 Fifty Bush Search and Rescue members and prospective members participated in the recent training weekend, an excellent response given the clash with a very good snow season and Father’s Day. As is now “traditional” for our off-snow training, on Saturday we joined the VRA’s 12 hour rogaine. 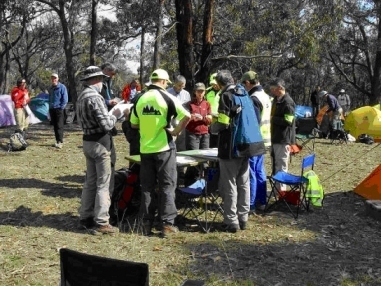 Rogaining is the ideal training for our members as it is such a close match to what is expected during a search; accurate off track navigation in a small group. Being a 12 hour rogaine several hours of night navigation were involved, a particularly necessary skill given the advent of Rapid Response Callout by Police, where we may be searching at night. All our teams achieved very good results.On Sunday, the focus was training in the technical “tools of trade”; the new generation GPS units, Police and UHF CB radios. Also covered was line searching, particularly the coordination aspect. 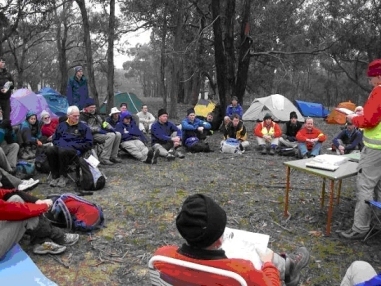 New and prospective members were welcomed in a special session, and we tried out getting into the new Bothy shelters.The program aimed to give members plenty of “hands-on” time with the GPS and radios, while providing those members already experienced with this gear the opportunity to pass on their skills to less knowledgeable members. 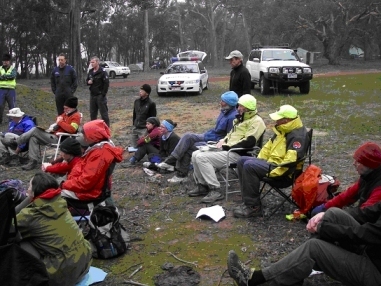 Bush Search and Rescue thank the Victorian Rogaining Association and the Police Search and Rescue Squad for their invaluable support.